Ask anyone – in these days of a less-than-thriving economy, and reduced budgets for book promotion, publishers increasingly count on authors to do much of the promotion for their own books. For the past three years, I’ve been working on an enormous, “epic” project – a prequel to the popular Disney film series, Pirates of the Caribbean. 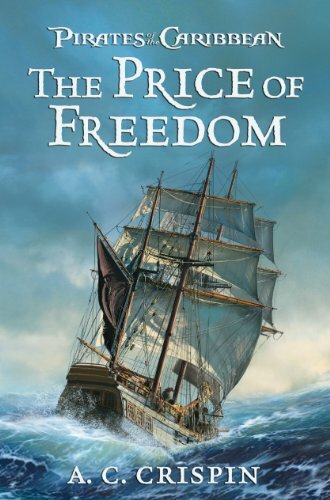 My novel, Pirates of the Caribbean: The Price of Freedom, will be released May 17 of this year, and tells the story of how Jack Sparrow first became a pirate captain. For most of the time I was writing it, I was uncomfortably conscious of the fact that when I finished the actual writing of the book, my work would by no means be finished. I knew that, for the first time in my life, I’d really have to work at promoting a book. It used to be that authors could concentrate on writing, and that their publishers would do most of the promotion for their books. Authors like SFWA Grand Master Andre Norton, who rarely traveled and who did few public appearances even on their home turf, could have successful careers and see their books sell very well. I fear those days have gone the way of the dodo. A bit of background: I’ve been writing novels as a profession for twenty-eight years. Except for teaching writing workshops from time to time, writing has been my sole livelihood. I’m hardly wealthy, but I paid the mortgage, put food on the table, and managed to travel a bit. 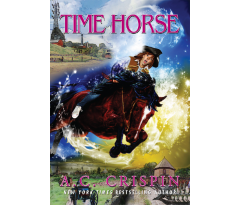 Up until now, each time I had a novel released, I’d do a bit of promotion…I’d call up a few local bookstores and let the managers know that I was available for a book signing. Sometimes I’d call my local paper and tell them about the release, and, because Southern Maryland isn’t exactly crawling with science fiction and fantasy authors, and The Maryland Independent focuses on items of local interest in its Arts and Entertainment section, they’d send a reporter out to snap my picture and interview me. I also attended two or three science fiction conventions each year, often because the conventions invited me to come and teach their writing workshops. This novel has been different. As soon as Disney told me it was okay to “go public” with it, in November 2010, I knew I had to dig in and start promoting the book. It remains to be seen whether my efforts will pay off – The Price of Freedom won’t be released for another two and a half months. But I thought I’d share my experiences with you so far. From the get-go, I knew I couldn’t spend a lot of money on promotion. For one thing, I still don’t know exactly what Disney plans. I’ve only recently been assigned my publicist with Disney, and she’s still working out what the company plans to do. I have more time than money to spend on promotion (though I’m starting a new novel, of course) so I decided to concentrate my efforts on the internet. In addition to the above, I used Google to find Pirates of the Caribbean fan groups, and Johnny Depp fan groups. I joined the groups, and regularly post links to the new excerpts. The two Johnny Depp groups I joined have proved particularly welcoming, and I’m scheduled to be interviewed by both The Depp Zone and Johnny Depp Reads within a month after the book’s release. Since events in my novel are considered POTC “canon” (at least until countered by events or dialogue in any of the upcoming Pirates of the Caribbean films) I also hunted up the Wikipedia pages written about Jack Sparrow, the other characters in POTC, and The Black Pearl, and edited them to conform to the events as described in my novel. This brought me to the attention of the POTC “Wikia” folks and they’ve been pouncing on each excerpt from the book as I post it, analyzing it for new material about the universe they love. They’re determined to get every snippet of information possible about it…and, of course my book is cited as a source each time they make a new entry. Next arrow in my promo quiver will be signing on to Twitter and learning to tweet. I figure I have amassed enough snippets of writing and publishing lore that my tweets will help aspiring writers, in addition to getting my name more recognized. I’m taking Victoria as my model – she has amassed a large following with her Writer Beware tweets, because she has something worthwhile to share with writers. As we draw closer to release date, I’ll begin doing “pre-pub” interviews with some of the internet groups I’ve joined. Leaders of such groups, plus reviewers, can request an ARC of The Price of Freedom, and Disney publicity will send them one. The ARC isn’t the final version, of course. But it’s about 75% the same as the published novel, and I’m hoping it will intrigue those who read it, and make them want to read the actual book. When the novel is released, I plan to set up an internet “blog tour.” I know lots of writers, and many have excellent, well-read blogs. Speaking of blogs, I am toying with the idea of starting one of my own – a personal one. I’d like to either have it on my website, or link it to my website. I’m not very computer literate, so I’ll need to research more on how this can actually work. Before I became active on Facebook, I wouldn’t have thought I’d be able to handle a personal blog. I am not very good at talking about myself. I’d rather write half a chapter in a novel than a brief bio for the dustcover flap! But with the FB experience under my belt, I feel more capable of tackling one. When the book is released, I will, of course, do my usual thing of contacting bookstores and my local newspaper. That’s an easy and inexpensive way to get a bit of exposure. New authors dream of store book signings – but, realistically speaking, they’re a drop in the bucket for sales. I’ll also do twice as many science fiction and fantasy conventions this year as usual. I’m already scheduled for Shore Leave and Dragoncon, but I’ve already touched base with Balticon, and am considering Renovation and the San Diego Comicon. 1. Before the book is released, concentrate on (free) internet venues to get the word out about it, in the hope that news of the book will “go viral” as they say. I’m still exploring venues for promoting the book. For example, at Farpoint last weekend, I discovered the world of “pirate re-enactors” and plan to check them out and see what online message boards they have that I could join. 2. As the book gets nearer to being released, coordinate my efforts with anything Disney comes up with, making myself available for any radio interviews, podcasts, cable shows (NOT the ones where you pay!!!!) etc., that present themselves to me, or that my publicist suggests. 3. When the book is released, do the usual booksignings, etc., but also try to attend “pirate gatherings” (yes, they have them! ), more science fiction and fantasy conventions, etc. Have “blog tour” arranged and do it. 4. Continue promoting throughout the summer and fall, leaving no (especially free) stone unturned in promotional opportunities. Be very organized, keep a good calendar and records, since events where I have to travel, etc., will be tax deductible. 5. Hold my breath the day my first royalty statement arrives, to see how well my efforts have paid off. Of course, the best promotion an author can get is simply having a book available in as many venues as possible, including on the shelves in brick and mortar bookstores. Electronic sales are increasing by leaps and bounds, no doubt about it, but many potential readers still like to browse bookstores, pick up books (at 235,000 words, they’ll need to exert some effort to pick up The Price of Freedom!) and page through them. This is where self-publishing services have problems. They can’t get nationwide in-store book distribution. I’m fortunate to have that. Well, yeah. You guessed it. Good Luck with your book promotion. Having Disney on your team is a great boost! I have to admit I like the character of Jack Sparrow too. For me, it's probably because Johnny Depp played it so well (with a little Keith Richards in there). I'll be following your posts here, and if you do start a blog I'd definitely check it out. I don't do Twitter or Facebook now, but I know they're looming in the future. I concentrate on blogging at this point. It does indeed seem authors must do the work once done by publishers, and the Internet is an obvious venue for generating 'buzz', before and after publication. An author website is a first and necessary start, but if you hope to actually sell from the website or even post snippets there, I suggest you read the following link. The author has been selling paper and ebooks for several years. He has tracked what works and what doesn't and how changes to law, Google, blogs, social media, etc. affect sales. How timely is this! I just gave in to the demands of the modern era and set up a fan page on FB this week. I hope one day to enjoy promoting my writing, b/c there's lots of promoting to be done. Ah, if I only had Disney's name backing me. Oh, well. Thanks for the post and the tips. Very encouraging. Best of luck with those beloved pirates! The book will be a success. It sounds like you've been doing a great job of promoting the book, especially by getting the attention of the PotC Wikia community. I hope it all pays off for you! I think I like the Andre Norton stay secluded style, myself. However, since I don't have anything ready to submit yet, I'm in the clear so far. Will continue to lurk and think. Best of success. You just snagged a very interested reader from this post. Sounds like you have a good strategy, and I'm definitely interested now! I would have expected Disney to give you more help in promoting it, especially since it comes out the same week as the 4th movie. You make it sound like a coincidence, but it seems it should have been done on purpose! Still, with Disney or not, it's great that you're being so proactive, and I'm sure the book will do well. Very helpful post! It will definitely help me as I begin my own book promotion, with not a lot of help from my publisher. I often long for Back Then when the big houses would accept any manuscript "over the transom." Gone are those days. For anyone who doesn't already know about it, John Kremer wrote an excellent book called 1001 Ways to Market Your Books. It's a huge smorgasbord of interesting ideas. Any given author or self-publisher will find that many of these ideas are not right for their particular book, but that some other ideas are fantastic. Congratulations. I am not a very good marketer, I have to say, so this will probably help me a fair amount! Congrats! 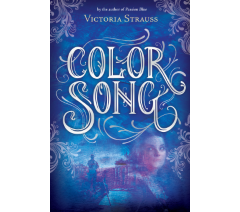 I'm a big fan of you, Victoria, and Writer Beware, and I look forward to reading this book (and it's inspiring to hear you've made a living writing full time!). One thing I've learned from my day job as a marketing copywriter: create an author page on Facebook (don't use your personal profile). I know you've amassed some fans who've friended you, but you can encourage them to fan your public page. Why? A bunch of reasons: first, the business pages have more functionality than personal profiles (namely advertising, which is extremely cheap on FB and effective...great way to get your book in the hands of readers who are interested in the genre). Second, I believe in keeping personal profiles personal (close family and friends). Your fans aren't necessarily friends -- it's good to keep the worlds separate. Third, Facebook has great "Insights," which can show you how much traffic you're getting and where it's coming from etc. Fourth, from an SEO standpoint, your business page status updates have a better chance of coming up in searches (this is still evolving, but FB is going to be a game-changer in search). There are other reasons, but I'll stop now. :) Congrats again -- so exciting! I have to say this, even though it may sound like I'm trying to be obnoxious or discouraging, which I am not, at all. I am not enamored of social media. For one thing, I find the majority of the material on it to be not worth reading. (Writer Beware is a notable exception.) There are, for example, fantasy authors I find magical, and nonfiction authors I find very informative, yet their blogs consist largely of the trivia of their daily lives. That’s not their material I want to read. Yet, as a writer I fully understand and support their reluctance to give away their best material. I don’t give mine away either. For another thing, I’m not social. I dislike being around a lot of people, especially strangers. And I don’t find most Internet relationships to be very real. But I do find them exhausting. I am under continual pressure to conform. People have told me I should never express controversial opinions because it might harm my sales. But as a writer, how can I respect myself if I cannot say what I really believe about important issues? Then, readers have often and openly expressed the attitude that I should be constantly available to provide them with free portions of my books, free information, free custom research, free advice on their projects, and free praise for their projects. I’m supposed to act like a salesperson in a fancy clothing boutique, where many customers want considerable attention from the employees without having any intention of buying. (I know because I had a part-time job in college doing exactly that. You can tell the minute someone walks into the store whether they have any intent to buy, and you can tell it with Internet contacts too.) I’m even, according to some, supposed to act deferential at all times. Which, if I did it, would also lower my self-respect; am I supposed to say and do everything everybody wants, and agree with everyone all the time, just to (maybe, just possibly, but probably not) sell one copy of one book? If I give away all that time, where is my time for the writing I get paid for? I don’t want to devalue my labor and expertise by encouraging readers to think they can always get it free instead of buying my books. Yet, I do understand the point of readers who do not want everything they hear via social media to be an ad. I think people make up their minds whether a book is of interest pretty fast, and mentioning the same book to the same people umpteen more times does not sell it to them. The bottom line is, social networking may sell books but how many? Few writers of my acquaintance seem able to point to sufficient sales to justify the time they spend at it. Many don’t know, and instead point to the number of people who read their blog or visit their website. But that’s not the same thing at all. They feel like they’re working if they’re writing, even if it’s a blog. But that’s not the same thing as getting paid. People say that your social-networking “friends” will buy books because they are friends. Not only do I not consider most Internet contact to be real friends, I’ve known not only many writers and self-publishers, but many musicians who put out DIY recordings. It is actually quite embarrassing when a real friend, someone I often see in the flesh, wants me to buy their artistic product, they need the money to pay for its production, and I don’t want it; or I was cornered into buying it and I think it’s dreck. People say, vaguely, social networking gives you other opportunities. What other opportunities? I don’t teach seminars or workshops. I’m not looking for a job; and in any case, a manager would be nuts to hire me on the basis of posts in social media instead of evaluating the resumes he/she receives from people who actively apply for jobs. I’ve been on the Internet ever since it first existed, and no one has offered me funding (unless you count Nigeria spams). OK, I’ve had many good Internet discussions with other writers and self-publishers, and with editors and others in the industry, where we traded information. But, these are not my audience and as far as I know, not one of them has ever bought any of my books. I feel like the media is banging on me every day to blog, chat, tweet, email, link, “friend,” and so forth, on umpteen networking sites. I’m encouraged to talk about my personal life, post pictures of myself, and generally, reveal a lot of things I think are (a) no one else’s business and (b) not interesting. I just sit around all day in front of a monitor; how exciting is that? You’re not considered normal if you don’t want to go on and on about yourself and listen to other people do the same. (That’s when you’re not on your cell phone; I’ve never had or wanted a cell phone.) I am constantly being told all this constant contact will sell books for me, yet there’s no proof. I get exhausted just thinking about it. I think the bottom line is that no one knows what works, and what does work is different for each author and probably each book. So either you have to do it all, and cover all the bases--or you have to make a conscious decision not to do it all, and not beat yourself up about what you didn't do. It's easy to feel that the time demands of self-promotion are an imposition, especially if you don't feel comfortable putting yourself forward, or dislike social media or blogging or making public appearances or some other aspect of the self-promotional grind. But rather than getting caught up in resentment, I think it makes more sense to look at the options, decide what you are able (and can afford) to do, and come up with a plan--like Ann's. If you hate social media, don't do social media. If the thought of going to cons gives you an attack of social phobia (I'm raising my hand), don't go to cons. There are plenty of other things you can do--and who knows, they might wind up being more effective than the things you didn't do. Thank you for your kindness and your well-balanced view. Marketing does take a lot of time no matter how you do it. Self-publishers can't kick back and say they just want to write. Unfortunately, most writers with larger publishers don't seem to be able to say that either these days. I don't mind writing back cover copy, or chasing data about bookstores and consumers to send mailings to, or sending the mailings, or writing and sending press releases, or updating my website for new books, or most of the other marketing I do. I just wish other writers and self-publishers would not tell me, literally, that I "have to" do social networking. And that readers would not tell me I "have to" assume a certain sales facade that has little to do with my personality. Oh, for the good old days when, unless you were a celebrity author, what readers cared about were, you know, the books. But anyway, thanks Ann and Victoria, and I hope both of you earn millions! By the way, I may have it worse because I write nonfiction. There is a widespread reader expectation that I provide lots of very substantive and well-written free information of the kind I put in my books. Pretty much every time I say anything on a forum, in fact. Maybe all fiction writers have to do is charm their readers with something or other, in between announcements of new books, reviews, awards, etc.? Or, maybe not? @Frances, I think you make excellent points, and I've definitely felt frustrated and overwhelmed by social media as well. And, as Victoria said, I think it's important to do what you're comfortable with. One of the frustrations I have with social media is the lack of tracking, as you pointed out -- hard data on what, exactly, leads to sales. Facebook is getting better at providing more in depth analytics, so I'm hopeful this will improve. For me (I'm an indie author), I see social media as a way of building a community, a tribe of fans who are interested in what I write, but who are also interested in simply talking about books and reading. I use the 80/20 rule: 80 percent of what I talk about should be about the community. 20 percent is self-promotional. I can link some of what I do directly to sales. I've created trailers for my eBooks and posted them to Facebook and as a result of that, people have purchased books (they tell me on FB). Last night, as an experiment, I did a status update letting people know that one of my shorts was in the top 50 in a specific category on Amazon. I said, "wanna help me get it to #1?" and within a few hours, the rank had changed and it was in the top 20 (was this a direct result of my status update? I have no way of knowing for sure, but I gotta believe it contributed to it). Social media definitely works in the indie writer space, as evidenced by indie writers like Joe Konrath and Amanda Hocking and many of the other self-pubbed writers selling more than 1000 books a month who flock to the Kindle boards. I don't have hard numbers (it's something we often chat about on the boards), but I think the key with social media is 1) you have to genuinely like the space you're being social in and 2) know it's a long-term effort, like any relationship marketing. I sympathize with writers who just want to write. I've been one of those to a great extent for my entire career. However, when I finished this book, I made a reasoned decision to try promoting it as much as I could via the internet, since, as I said, I couldn't afford to hire a publicity company for thousands of dollars per month, etc. I have absolutely no idea whether what I'm doing will result in any sales. Victoria and I have been running Writer Beware for over a decade now, and I can't trace a single book sale to my work on Writer Beware. That's a fact. Will I be able to trace any book sales for Pirates of the Caribbean: The Price of Freedom to my efforts on the internet? I may never know. But if this book sinks without a ripple, and I had done nothing to promote it, then I would always have wondered, you know? I wrote the blog post to share my experiences so far in the hope that they might help some folks who read Writer Beware and who also write, and who might have wondered about the same questions. You can follow my progress as a test case, perhaps. I'm your guinea pig. Victoria and I figured out that running Writer Beware wouldn't help our book sales years ago...and we're still doing it. Which should tell you something about us. I leave it to you to figure out what, exactly, it tells you. I think you and Victoria are awesome, and that Writer Beware is awesome. I don't mind =giving help (usually advice) to other writers and self-publishers, as time allows. I feel they are willing to help me, too. When they can't it's because they are beginners who don't understand the field yet, which is not their fault. But, I started out in publishing many years ago, really wanting to help readers, in a solid way, and do good to the world. Now I just feel exploited. I have been following your blog for the past several months and I've alsways found them to be interesting and informative, but I have to say that this one is the best! "Old Dog" is not only informative, but truly useful. As an "old dog" who is new to the field of publishing, I appreciate your insights into this bone yard of how to publish, promote and hopefully find some small measure of financial succees in a dog-eat-dog world. Thanks for sharing your experience and your insights with all of us! As someone who is learning all this internet marketing of books for the first time, your time line is excellent. I'll bet I'm an older dog learning new tricks as I go along and still learning to Tweet, squawk, linkin, facebook, etc. Ann, I don't know if I'm going to buy this book. I do know I definitely wouldn't have had you not made this posting; I probably would never have known that it existed. So while this doesn't count as a book sold due to Absolute Write; it does count as proof of something. Congrats on the new book and good luck with your book promotion. It looks like you're doing all the right things relating to promotion. Online is where I've been concentrating most of my book promotion work these days and it's quite effective at getting readers to try a book. This book should do well because it has a built-in audience, and can be targeted. Depp Fans, POTC fans are definitely gonna be interested in the prequel; I know it's gonna be a big hit! I don't always agree with the articles but many are interesting. Promotion is critical, and I understand that you are tied into a potentially lucrative situation. That said, might it turn out o have been a lot better deal to havewritten and promoted your own adventure and cut out the leeches? Why isn't Disney giving you a big promotional budget like they give to their other authors? Surely they can afford it, we all know that!!! could it be they see the handwriting on the wall. Maybe they think you are on the way out or something. If they are not giving you at least a $50,000 promotional budget and at least a 5 city tour for such a big project, then they obviously don't think your book is going to bring in enough people or make back the advance. What have you done lately to piss them off??? Or have you been very lazy in the past. How many people to you brink in when you do a book signing? Three or four? Maybe they are going to give their promo budget to someone else with a bigger potential than you??? Aren't you even getting a radio tour from them? I am very surprised that someone with your visibility is being expected to find free internet publicity. What are the changes going on there. Is it possible they don't like your agent or your colleague Victoria Strauss??? Great post! I have been following this blog for a time now but have never commented. However, I enjoyed reading about your thoughts, hesitations, and fears as you venture into unfamiliar territory. In sharing on a more personal level in this post, you have relieved some of my own anxieties as an unpublished novelist and I wanted to thank you for that. Best wishes with your book promotion and if you don't mind, I will blog this post on my blog. Thank you again for your humble honesty. Thanks for all the tips and tricks. I am just starting out with a novel so will be back.